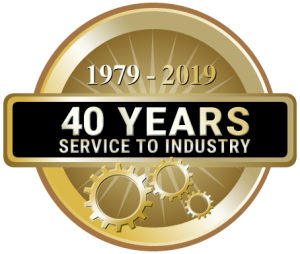 Established since 1979, TDR is a progressive independent company specialising in the repair and reconditioning of all types of industrial gearboxes, pumps and industrial blowers. TDR are agents for many British & Continental gearbox manufacturers and can provide new gear units and complete drive systems. TDR operate from a fully equipped workshop, with up to 20 ton capacity to carry out in-house repairs and reconditioning service. We cover a wide range of mechanical services for all types of industry. Over the years we have developed an enviable reputation nation-wide for service and reliability. In the future we are committed to strengthening this reputation still further. A more detailed guide to individual services offered can be seen by visiting our Products and Services pages. Our vision is to service a need in the mechanical engineering field. We aim to provide an efficient service that our customers will return to time and time again. People are the heart of any business and this is particularly true of our organisation. We appreciate that dedicated talented and skilled people are essential for us to develop a competitive edge. Our team of staff brings together a wealth of experience that we utilise for our customers’ benefit. We operate a quality management system, which complies with the requirements of BS EN 9002:9004 and are a BSI registered firm certificate number FM 24157, we are dedicated to quality assurance. A copy of our Quality manual is available by request.